Creating with paper can be fun and easy to do! I’m always looking for an excuse to create. Let’s face it. Most crafters live for holidays. Each holiday provides a new theme to work around, and Easter is no exception. This week, we are making fun Easter Bunny Brooches with paper! This post also includes more unique paper craft ideas! So be sure to page to the bottom for lots of inspiration! I’m SO excited to be guest posting over at Kenarry: Ideas for the Home today sharing all of the instructions for this project! You can find the full details and lots of photos of these fun Bunny Brooches Here! Want more Unique Paper Craft ideas? 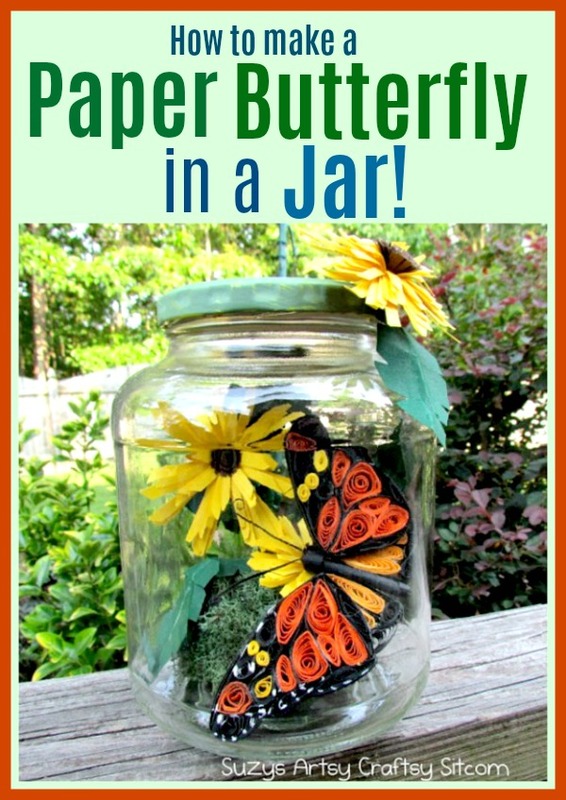 This beautiful butterfly in a jar not only is a great way to recycle, but makes a fabulous conversation piece. It involves the easy craft of Paper quilling with colored card stock and a recycled jar, and costs just pennies to make! CLICK HERE for the tutorial! 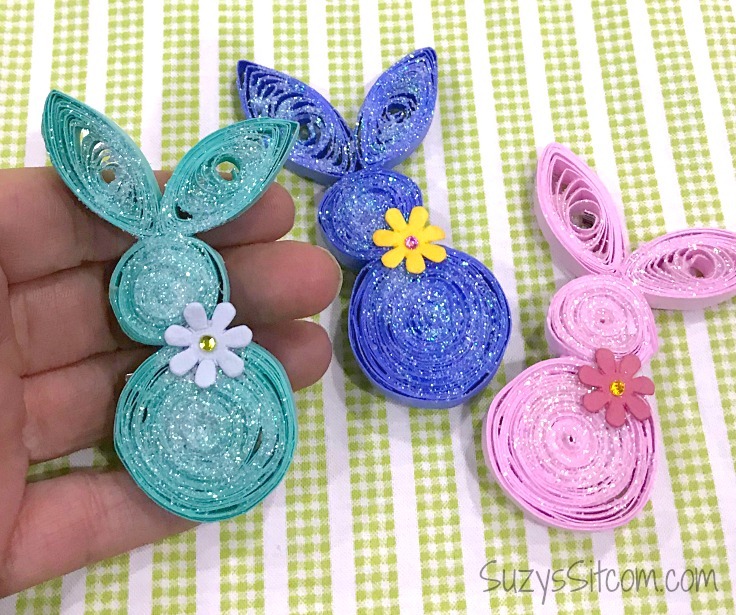 Create a unique look with paper quilling! 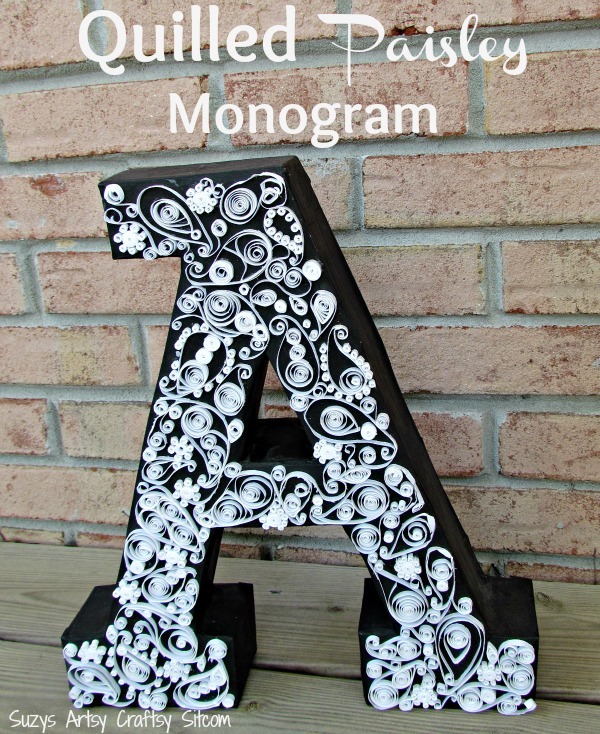 Quill a monogram with a paisley touch! And the monogram is even made with recycled cardboard. You can’t get much more thrifty than that! Click HERE for the tutorial! Next post: Free Quilt Block of the Month: Esmeralda! Previous post: Grandma’s Garden Sew Along- Free Quilt Patterns Each Month!